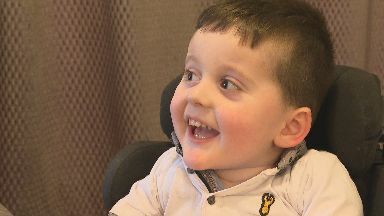 Scots with the genetic condition have spoken about their hopes for the treatment. Kiana Kalantar-Hormozi relies on her family to help her do the things many people take for granted. From dressing herself to making her own breakfast, the 24-year-old who relies on a wheelchair yearns for her independence. Kiana has Spinal muscular atrophy (SMA), diagnosed with the muscle-weakening condition when she was just two years old. "I was just a normal baby, but my parents noticed I wasn't really hitting the milestones I should have been hitting," Kiana explains. "I didnt start to walk, I was a lot weaker and I was quite ill as a child, I almost died due to chest infections. "As I've gotten older, living with SMA has been much more difficult to have my independence and to live the life that I really deserve." 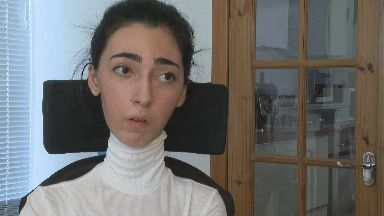 Kiana hopes have been lifted however with the news that the Scottish Government has made access to the drug Spinzara faster under the "ultra-orphan pathway" initiative. The treatment has successfully helped infants with the condition to live longer, and in some cases crawl and even walk or stand. For Kiana, the ability to do simple tasks many people take for granted would be life-changing. "I've always lived with this, this is normal to me, so the concept of getting stronger is something quite new and exciting but terrifying. "I'm cautiously excited about [using Spinraza]. I don't want to be too excited about it and then have it not do what I want it to do. "There are some adults who have been on Spinraza who are able to turn in their bed at night, and that's something that I am dependant on my mum to do for me every night. "It's a huge burden on her and it takes away my independence from me. So even if I could do something like that, that would be a huge difference to me and my family," Kiana says. "It's right that there shouldn't be any barriers to accessing Spinraza." 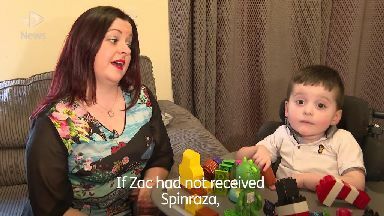 For the Cameron family, Spinraza saved their son Zac when they were told he may not see his second birthday following a SMA diagnosis at just 17 months old. His mother Amy describes the treatment as a "miracle" for her family. "When Zac was diagnosed, we were told it was a life-limiting condition and Zac possibly wouldn't see a second birthday. At that time, it was just completely heartbreaking," she explains. "At that time, the treatment had not been approved anywhere, we knew there was treatment on the horizon, but the timescale we were looking at was possibly two years and at that time, we didn't have two years for Zac. "However five weeks after Zac was diagnosed, the FDA approved the treatment. "The team at Glasgow Children's Hospital were able to get Zac on an early access programme and Zac started the Spinraza treatment six months later, which was an absolute miracle for us as a family." The lengthy hospital stays her son had to endure were dramatically shortened and Zac started to strengthen the muscles in his neck and head, meaning he was able to hold his head up and play. The boisterous little boy can also feed himself, pick up his cup to take a drink and drive his own power chair, as well as attend nursery with his friends. For Amy, the news that other families will be able to access Spinraza more easily is another miracle. "I just think it's a miracle for Scotland. When Zac was diagnosed we never thought we would see this day where treatment was released for everybody so it was just incredible hearing the news. "If Zac hadn't have received Spinraza, I'm fairly certain that he probably wouldn't be here, I really think it saved his life. 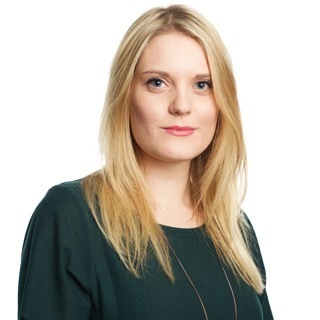 "I think we would have been looking at a much bleaker future if Zac hadn't started this treatment."